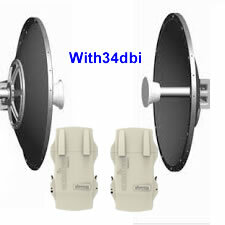 wireless link using unlicensed 5Ghz radios, you need to understand the equipment that meet your requirements. Apart from line of sight, factors like distance, bandwidth requirement, and interference must be put into consideration when planning for the deployment of wireless links. In this article, I will be sharing with us how to choose the best equipment given some requirements from a client. Lets assume we have a client that has asked us to help connect two offices that are over 100km apart with bandwidth requirement of about 120Mbps. With such requirements, you need a high-powered radio that can transmit wireless signals across the given distance with data rates that meet the client’s bandwidth needs. Firstly, you need to get the coordinates of both locations, enter them on google earth and analyse. A successful analyses will help determine the altitudes at both ends. This will help you determine how high you have to go at each location to be able to have quality signal. Next is to choose your radios and antennas. You may like: Best way to configure Mikrotik point to point. Given the bandwidth requirement and distance, I have two radios in mind. They are the Mikrotik Netmetal RB920 and the Ubiquiti Air Fiber 5X. Both radios are dual chain, capable of connecting to high-powered Ubiquiti rocke dish. The Mikrotik Netmetal RB920 supports 802.11ac with channel width of 20/40/80 Mhz, giving you data rates of up 800Mbps. With the superchannel feature on Mikrotik, frequencies with less noise can be carefully selected to give optimum performance. For long distance links with huge bandwidth demand, using a pair of Mikrotik Netmetal on a pair of 34dbi Ubiquiti rocket dish will get the job done. You may like: Best practices when configuring Point to Multi-point on Mikrotik. 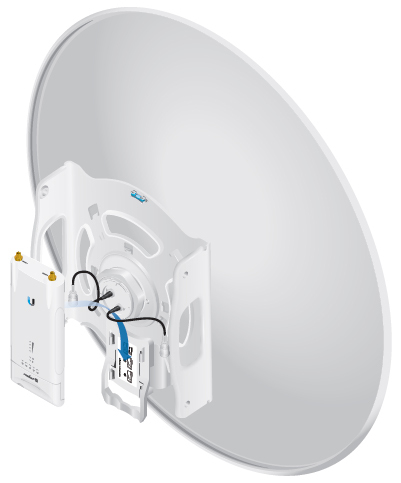 The Ubiquiti Air Fiber 5x is quite suitable for long distance links. It can be deployed to successfully connect sites that are up to 200km apart, provided there is the existence of line of sight between them. It is dual chain, making it suitable for deployment with the rocket dish. 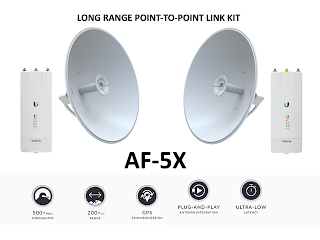 Though strict on frequency utilization, the Air Fiber 5x can provide data rates of up to 500Mbps when deployed on point to point links, using frequencies with less interference. 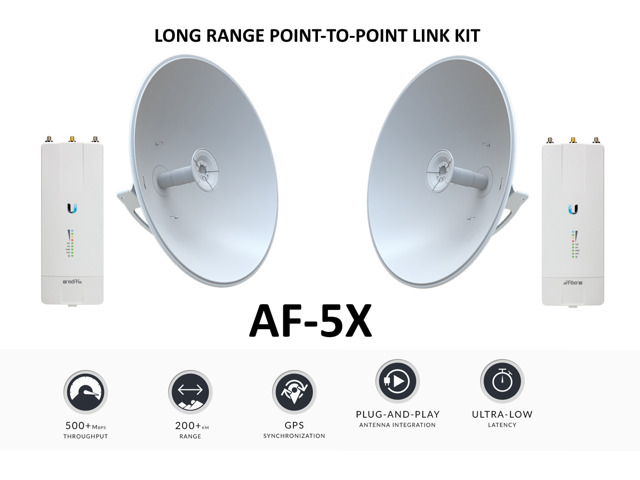 The Rocket dish can be used with the Rocket M5, Netmetal, and Air Fiber 5x to produce high data rates on long distance wireless links. I chose this solution because it is less expensive to replace any damage component like the pigtail instead of replacing the entire radio. Amazon introduces a waterproof kindle with 4G connectivity. ← Cisco CCNA: Implementing EIGRP with VLSM and manual summarization. See all eigrp show commands and their functions. Thank you and please do stop by again. Thank this meaningful and helpful post! I am working as a creative professional at online services that are mostly for best essay writing service. Thanks a lot for the kind of perfect topic I have not a lot of information about it but I have got an extra unique info in your unique post. Thank you, do stop by next time.